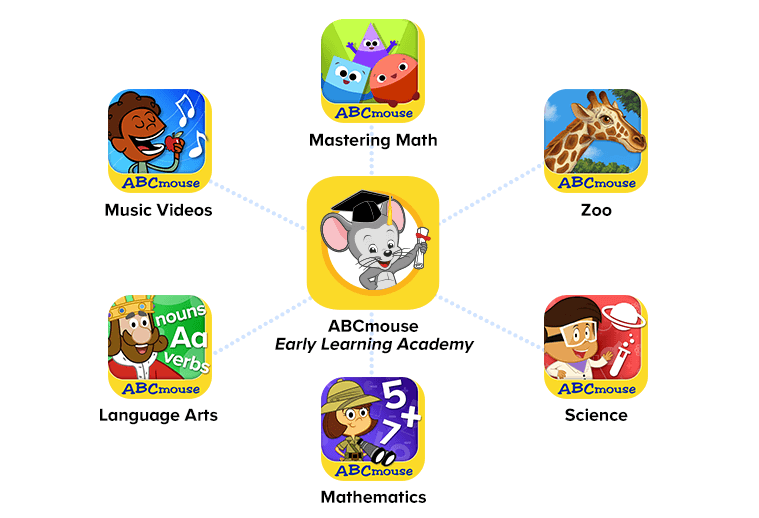 Organized by academic subject (language arts, mathematics, and science) and activity type (animations, games, and soon books), these apps help children quickly discover and access hundreds of Learning Activities from the ABCmouse curriculum. Parents can also select and assign specific Learning Activities based on targeted curriculum objectives for children to complete in a specially designed Just for Me section of each app. 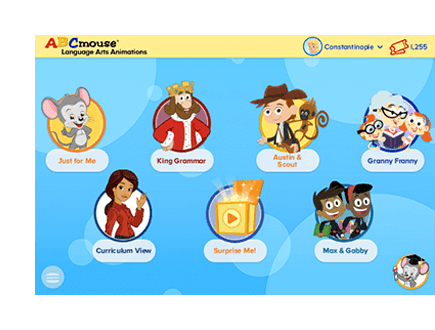 The apps sync to the subscriber’s ABCmouse account whenever the mobile device reconnects to the Internet, so progress is recorded and tickets earned are available for use in the core ABCmouse app. Language Arts Animations—Important literacy and language skills come to life with this app that offers nearly 200 learning animations that teach phonics, reading comprehension, grammar, writing, and more! Mathematics Animations—Introduces essential math concepts through engaging characters and storytelling, offering more than 100 animations about addition and subtraction, measurement, geometry, problem solving, and more. Science Animations—Builds children’s understanding of science and explains key concepts of physical science, life science, Earth and space science, health, and safety through more than 40 animations. Zoo—Features animations of 15 beloved zoo animals, with hundreds of animal facts and interactive quizzes about animal characteristics, behaviors, habitats, and more. Music Videos—Includes more than 50 animated music videos of classic songs and ABCmouse original children’s songs that teach the alphabet, numbers and operations, shapes, colors, geography, and more! There’s more to come! We’ll be expanding our constellation of ABCmouse apps throughout the year with additional releases coming soon.